Situated on the beach. 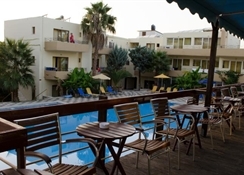 Set around a swimming pool overlooking a sandy beach, 16 kilometres from the town of Rethymnon. 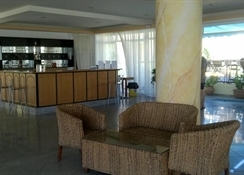 The hotel facilities and services include front desk, restaurant, bar, pool bar, swimming pool with sun terrace and children`s area, TV room, Internet corner (extra charge), table tennis and beach volleyball. 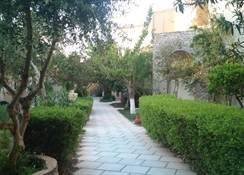 The rooms are equipped with private bathroom, ceiling fan, safe and balcony. **Air conditioning is working from June - September with extra charge.